Clayton was a happy and intelligent child. He enjoyed Baseball, Basketball, Trick bicycling, Skateboarding, Motor cross Racing, Paintball, Modifying foreign cars, & Girls, Girls, Girls. There was never a dull moment with him around. He was active in church and school activities. He enjoyed mission trips and played the role of Jesus at the largest Baptist Church in our community at the age of 15. 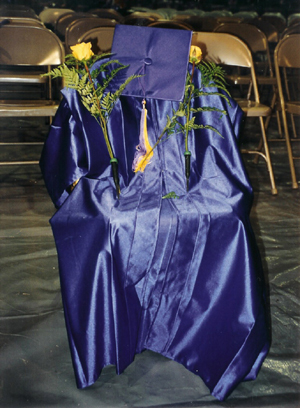 As a senior at Oliver Springs High School he scored above average on standardized testing and had dreams of becoming a teacher. He was active in Fellowship of Christian Athletes and Bible Club while keeping up his role of being the popular kid other wise known as Superman to his classmates. He traveled to Europe for two weeks during his freshman year on a school field trip and as a senior he was selected as Mr. Valentine. Nov. 12th 2003, his senior year of High School, I went to wake Clayton up for school, instead I found his lifeless body on his bed. He had worked the night before at his new restaurant job, my husband, several friends and I visited him on duty and had dinner. He returned home around 10:30pm and came upstairs where my husband and I were watching TV. I watched him go to the refrigerator, pour himself a glass of chocolate milk, he sat in a chair in the room with us and we had a brief conversation. He then picked up our cat and with his glass of chocolate milk in the other hand he stood at the top of the stairs and said “good night mom, I love you, see ya in the morning.” Little did I know that this would be the last time words he would ever speak to me! He was a bright & talented child. We wondered why did this happen to him? The rumors led us to believe it was an overdose; the rumors were confirmed by toxicology reports. He had consumed a Duragesic brand of pain patch. These patches contain Fentanyl and used as prescribed, pain medication is time released over 48 to 72 hours. Since Clayton’s passing we have learned that prescription pain medication slows the respiratory system. Clayton fell asleep, forgot to breath, and never woke up. He had experimented with Marijuana at 16, shortly after he confessed to experimenting with Klonapin, an anti anxiety drug. We were devastated by the Marijuana but the misuse of prescription medication scared us so much that we placed him in a treatment facility for evaluation. During his stay at the facility he admitted to experimenting with an over the counter cough and cold medication he had heard about at school that could give a person a feeling of being high. Our hearts were broken and we were left with a feeling of confusion and fear while being thankful to God that nothing tragic had happened to him. The treatment facility observed him for three days, released him, told us he was spoiled and suggested out patient counseling in which we completed. Our family felt as if we were living on pins and needles for a while; we prayed daily that the advice from these trained professionals would be sufficient. After experiencing this as a family we felt we could not let our guard down; curfew was strict along with many other things. We felt we fought the battle as a family and won. Clayton turned 17 just two months after our family’s ordeal with the treatment facility and we were enjoying watching him grow into a mannered, hardworking young man with positive goals in his life. He made it clear to us many times how lucky he felt that his life was spared after giving into the pressure of experimenting with drugs. The only other trouble we had ever experienced with Clayton was a few, I should say several, traffic violations. He enjoyed driving a little to fast. But then don’t most boys enjoy driving a little to fast? Up until this age Clayton had always been the type of child that if as a parent you thought something unacceptable might be going on, when it was all said and done you realized that you were the one that over reacted. The speeding tickets were not taken lightly; breaking the law in our home was a serious matter. But, with each ticket he appeared in court and the tickets were dismissed by the Judge. As parents we were thankful that our car insurance didn’t increase. But, we learned that sometimes parents can’t depend on the judicial system to put fear into our children to obey the law. That is something that is the parents’ responsibility no matter what. Clayton did not like the fact that he was actually grounded from his car for more months than he was ever allowed to drive it. We still wonder as a family, how did Clayton go from speeding tickets to death? We feel that a lot of it hade to do with peer pressure in order to prove himself to be a certain way to be acceptable to his peers. Clayton had never been a “latch key kid” with no one home for him; I operated a home based business for eleven years before he passed away and was able to work my schedule around every school event and never missed a single one. He was involved in church, sports and had a strong and supportive family. Nothing in Clayton’s life fit the typical stereo type of someone you may consider to possibly lose their life to a drug overdose. Our hearts continue to break more everyday having to see the sun rise and set without Clayton here with us. But, we still feel blessed in many ways. We were blessed to have been given the privilege of having Clayton with us for Seventeen years, eight months and seven days! That is something we will forever be thankful for. The memories we have of Clayton are wonderful and not tainted with horror stories like what we have heard from many people that have lived with an addict for many years. But, then again it’s hard to say who is the luckiest because there are treatment facilities for addiction but there is no coming back from the dead. 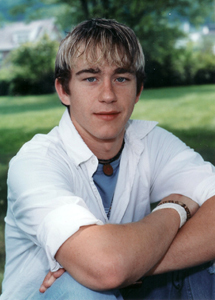 Clayton lost his life before he ever had the chance to become an addict. Why anyone, for any reason and especially people that have everything positive going for them, give into the peer pressure of experimenting with misuse of drugs for a recreational purpose, is something we are still trying to understand. One thing we have clearly come to understand is if it could happen to Clayton it could happen to anyone. THAT IS WHY THIS WEBSITE IS HERE! To help you, your family or anyone that you love to better educate themselves on the abuse of drugs. Clayton’s life has ended but Clayton’s Lesson continues to grow. Clayton’s family strongly believes that his death is not in vain. God took him for a reason and we feel a part of that reason is so that his death will help to save many others. Clayton’s life was precious, his death devastating but his LESSON is not to be forgotten!